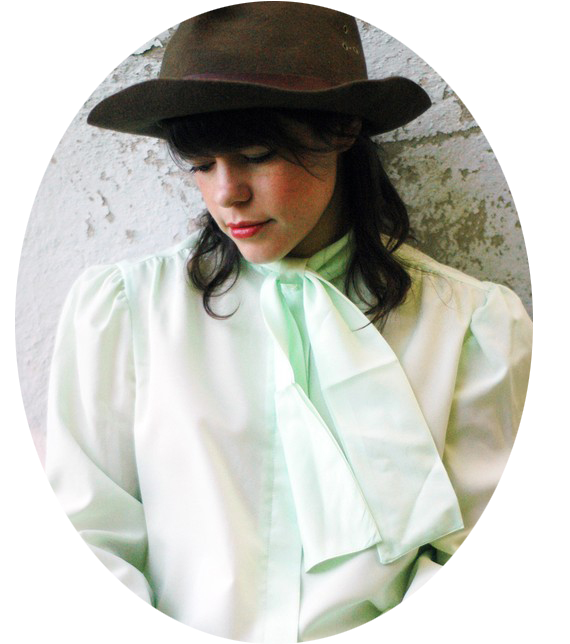 So I didn't become a chronic thrifter until I met Holly during grad school in Pennsylvania. She thrift shopped for most of the items in her life and encouraged me to do the same. For years, we would go thrifting together every Wednesday evening after work. It as our thing. Then grad school was over, and we each moved to different parts of the Midwest. And I missed my dear friend and thrifting buddy, the person to whom I showed all my thrifted treasures (well, I show them to Piercen still, but he doesn't have quite the same appreciation for a good ruffle shirt). It was a sad time. Fast forward a year. When Holly was visiting us here in Madison, we made plans to start a blog where we could share pictures of our thrift finds with each other and open a conversation with other thrifters about thrifted culture. Then of course, life intervened, and neither of us could find the time to give to a thrift blog. Flash forward another year. When I was in Springfield two weeks ago, we revised our idea and decided that instead of a blog, we would start a group Tumblr called Thriftanthology. This has proven to be infinitely easier and less time consuming than a full-size blog, and I am so pleased to say it is up and running. 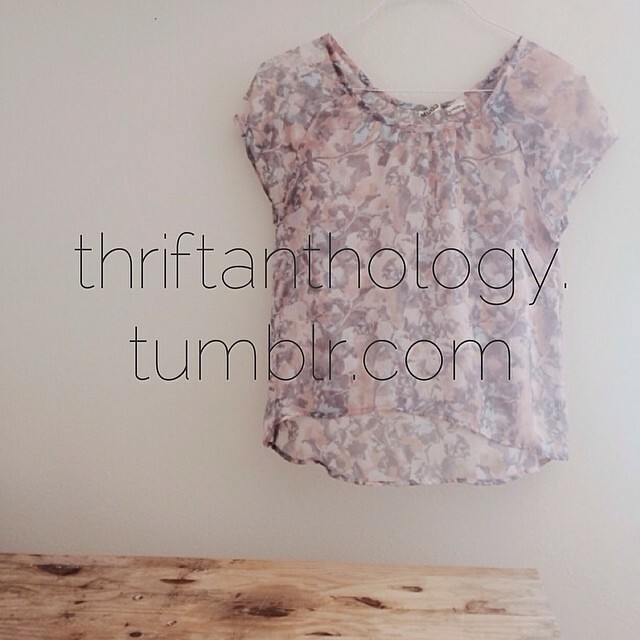 If you are interested in thrifting, come check out our treasures at Thriftanthology. If you are a thrifter yourself, whether of the casual or serious ilk, we'd love for you to share your finds with us (see the submit button at the top of the page under the title Thriftanthology). And if you have questions, comments, thoughts, or meditations on thrifting and thrift culture, we'd love to hear those too. Thrifting can be crazy; it can be fun. It can be a luxury of time; it can be a financial necessity. It can be a way to fight exploitative and pollutive industries; it can be a way to develop a much more unique sense of personal fashion. It can be so many things to so many different people, so let's discuss. Come join the fun. Love this. Yay, thrifting culture!